At Fine Art Shippers, we not just ship fine art – we try to do it in the most eco-friendly way possible. If you have ever worked with our team, you know that we are committed to sustainable fine art shipping, and we take great pride in trying to economize the use of art packing and crating materials as much as possible while ensuring the utmost protection of the transported item in transit. We measure pieces to exact size, and we pack and crate them in the most efficient way, using only necessary yet the safest materials carefully selected for each particular artwork. At Fine Art Shippers, we also try to reuse and reutilize art packing and crating materials when possible, giving them a new life in another form. Plus, it allows us to reduce the cost of shipping and packing. It is also worth noting that in addition to our commitment to sustainable fine art shipping and packing, we also support different eco-friendly actions related to sustainability and arts in one way or another. 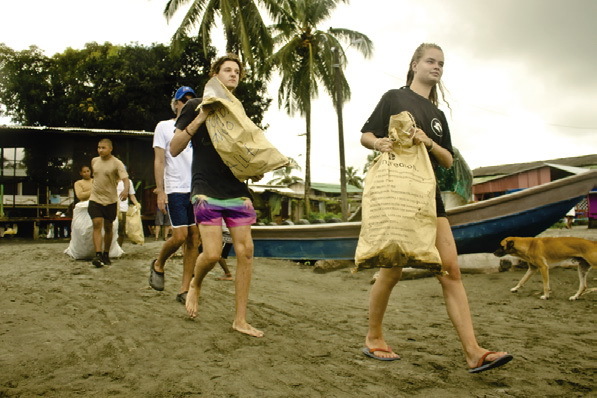 In particular, we are very proud to take part in the Ecopazifico environmental education program aimed at protecting the Humpback whales and providing children of the Colombian Pacific Coast with knowledge of global environmental issues through various artistic workshops, physical activities, videos, and talks. 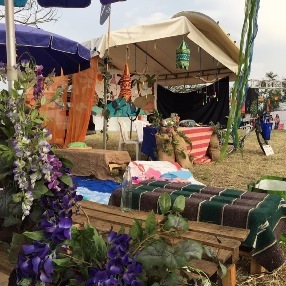 Founded by Rommy Schreiber, Ecopazifico represents a creative and hardworking collective of resilient activists, artists, permaculturists, upcyclers, and other professionals who are ready to contribute to the well-being of our planet. 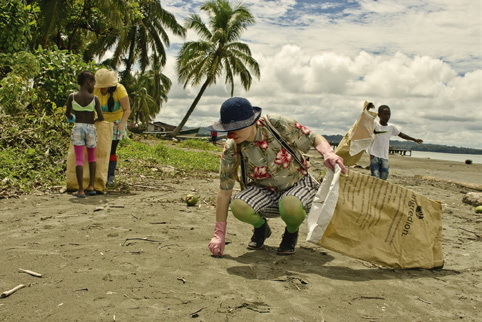 Their most recent project is dedicated to establishing a recycling system for plastic trash collected on the beaches of the Pacific Coast of Colombia in Ladrilleros, Juanchaco, and La Barra. However, that not all! 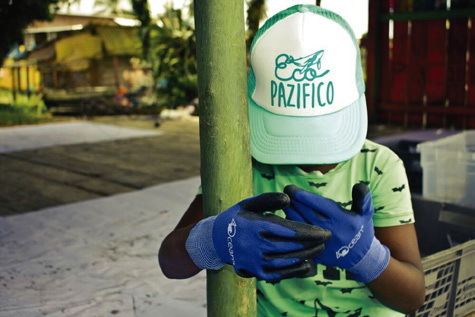 The most important part of the Ecopazifico environmental education program is to show people that trash, or as it is called there “MAPARE” (Material Para Revivir or Material to Revive), can be used as an artistic medium by both children and professional artists. It is needless to say that all art pieces created within the Ecopazifico program are made of MAPARE! Our wide network of art business professionals and commitment to sustainable fine art shipping give Fine Art Shippers an excellent opportunity to connect Ecopazifico with many art galleries, museums, and cultural institutions who also want to take part in this environmental education program. We are ready to support this amazing project in any way possible and to bring it more awareness through our clients and partners. Join us to make our planet a better place!